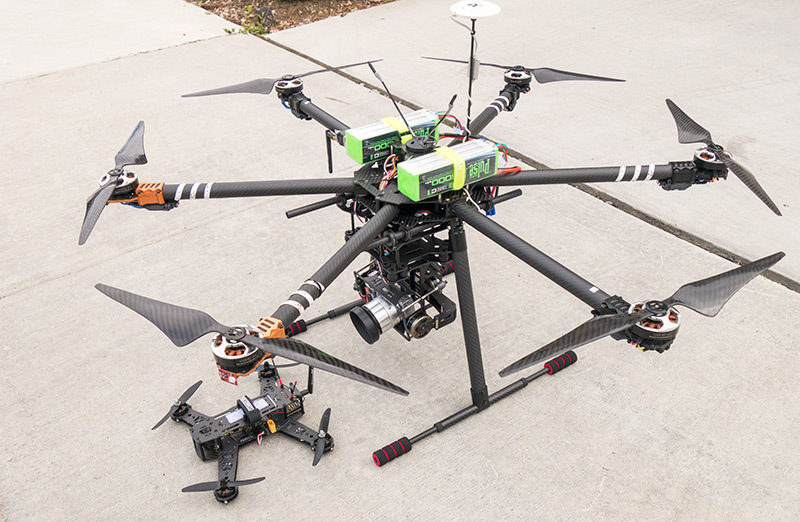 Well I’ve had enough of fighting the Arris Lander X3 electric retracts on my large 960mm hexacopter drone. The gear retracts fine but it does weird things going back to the down position. It takes about 30 seconds and about 20 attempts before the gear is completely down. It will start by going down 2-3 inches, then it goes back up an inch, down three, up two, down three, up two. The gear finally goes down, but not without a LOT of waiting and wondering if it will burn out something, or simply fail. I do NOT want to have to hand catch this bird. That’s a no-go. 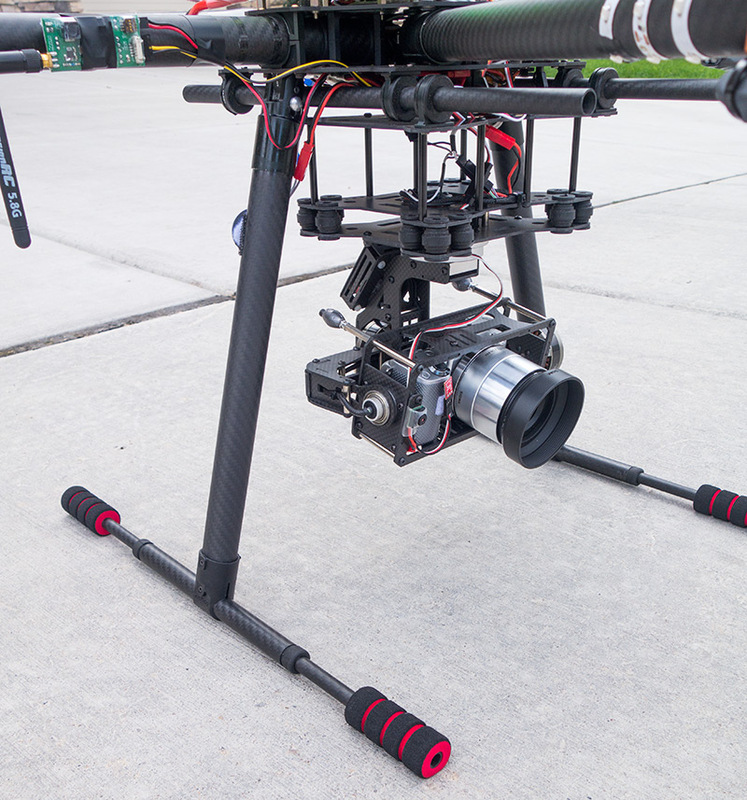 The retracts come with mounts, larger legs, and the electronics needed to control them. By removing all that I did free up about 150-170 grams of weight, which adds a few seconds to the flight time. Pictured above is the big bird with the old/new gear back on, next to my 250mm racer. I’m hoping to take this big bird traveling to the bahamas later this week. I stripped the old stuff off today and did some test flights, which were successful. I can’t remember where I first saw this trick, but boy is it great for especially the smaller copters. 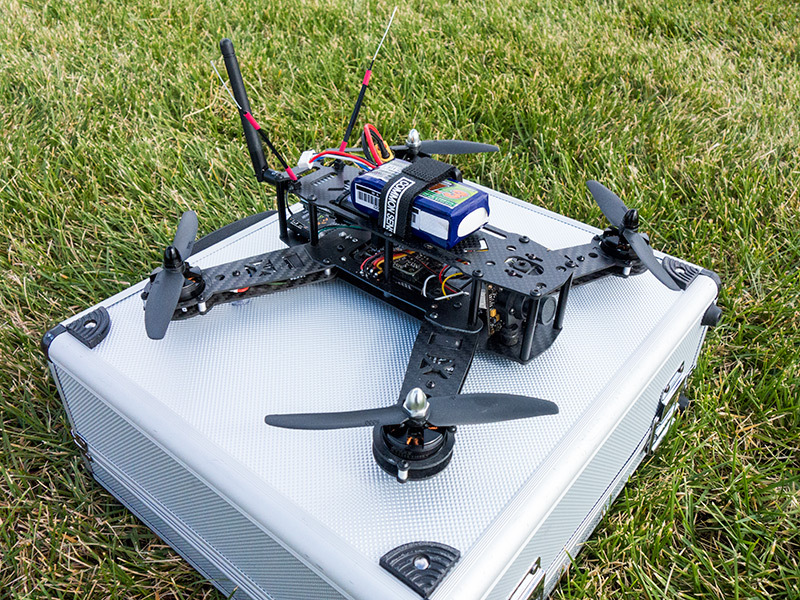 I mucked around with this small racing quad for a long time trying to figure out how to mount the receiver antennae. I bought some rigid plastic antenna sticks at a local hobby shop and promptly crashed with them, ripping one antenna off the receiver. Then it was a case of “hello China” and waiting for parts…. Now that the replacement antenna wire came in I couldn’t wait to try the zip-tie trick. 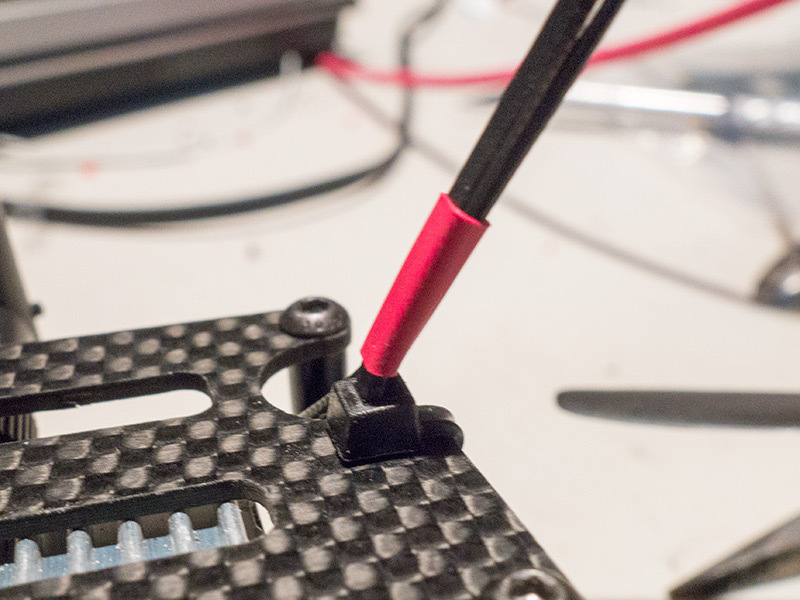 You can simply attach a zip-tie or cable-tie to your drone in such a way that the excess plastic is sticking up. Put the antenna wire next to it and run a piece or two of cable shrink (see red parts in photo) and you’re good to go. The cool thing is if the antennae are bumped or the quad in this photo lands on its top (which happens quite often), the ties and wires are flexible and don’t snap off.